Doctor Who: HELL BENT Spoiler-Filled Review | Warped Factor - Words in the Key of Geek. Well now. That was a thing. That was a thing you have to watch the once, to feel the wobble of what-the-hell, the uncertainty about the low key of the drama and the overdose of Clara, the flutter of potential disappointment that could become a flame - and then you have to take a breath, and feel all the rightness bubble in through your lungs. And then you grin a Tom Baker grin. Go ahead, I’ll wait. 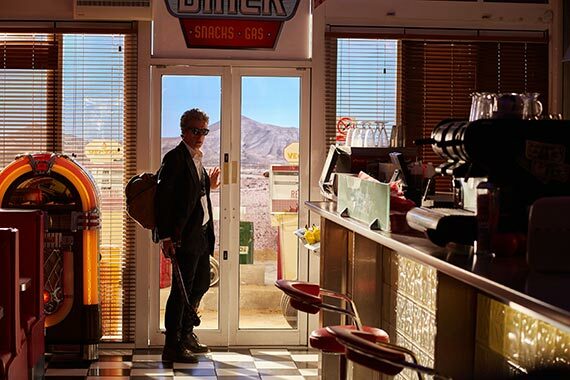 First thing’s first – Capaldi. Oh my stars, Capaldi the Silent. Doctor Who is many things of course, but Steven Moffat is right in at least one regard – it’s a star vehicle. That means the star gets all the best lines. That’s at least partly why our wonderful mischievous Time Lord has always talked so much – until now. The pre-credits sequence with Clara was fine and good, but Capaldi the angry, the silent Doctor was mesmerising. The first ten Gallifreyan minutes of this series finale was High Noon. Space High Noon, if you insist – the Doctor the silent hero calling out the bad guy without saying a word. The Doctor letting his actions and his reputation face down not just any president of the Time Lords, but Rassilon the Resurrected – he who drove the Time Lords to become warriors in the first place. He who drove the Master mad. He who planned to bring an end to time itself. That first ten minutes was actually a war, played out on screen between two of the greatest figures in Time Lord history – a war for the soul of Time Lord society. With Rassilon and the High Council banished, Gallifrey re-found itself, re-established itself as the planet of the Doctor, not the planet of Rassilon. The man who won the Time War, defeating the man who arguably started it. And Peter Capaldi said so very little to do it all. That’s a new reason why the show is a star vehicle. It gives people with the extraordinary talent to do the job a chance to showcase all that they can do. Let the word go out from all of Series 9. From the Davros two-parter, from the best base under siege story in the 21st century, from the Zygon epic that resonated so strongly in our idiotic war-lusting days, from the Trap Street, the Confession Dial and now from Gallifrey itself. We have an extraordinary actor in the lead role in our favourite show. Look – just look back over the course of this series, and see what he can do. And the treats just kept on coming. The Doctor as Lord President of Gallifrey – again. It would have been fun, perhaps, to see him with the high collar on just once before deciding it was not for him, but we’re just one Doctor too late for silly-hat-wearing. The Cloister, with its Cloister-Wraiths – Gallifreyan data ghosts, manning the battlements – a shivering reminder of Skaro in its darkest days. We got to see, on screen, to finally shut down the debate – leave now if you need to, if you simply can’t accept it – a male to female, white to black regeneration. Any more questions? Didn’t think so. Moving right the hell on. An old-style classic Tardis – oh to the hellyeah. Me will knock four times – delicious. That flirting with the question of the Doctor’s parentage, giving a flutter of respect to the McGann movie and it’s ‘half-human’ malarkey. Maisie Williams on perhaps the best form since The Girl Who Died, as the immortal who outlived the other immortals, in a set-up that echoed not only the White Guardian, but also of course the game of Fenric. Did I mention the nuances just kept coming? So much so I forgot to even mention the Angels, the Dalek begging either for its own extermination or the extermination of Me. The Cyberman, trapped forever in the Cloister. Don’t stop me now on the radio, the Amy and Rory diner and the Doctor remembering them (it’s been a very long time). The barn, from both the time of the Moment, and from Listen, where the Doctor used to sleep. Shobogans! This Twelfth Doctor should absolutely say Shobogans more often. Series 10 – Revenge of the Shobogans, please. The whole episode was pretty much like taking a deep, hot, luxurious bath in Doctor Who references, like being given loads of ‘stocking-filler presents,’ one a day on the run-up to Christmas. This was basically Advent of the Doctor. But the point is the Doctor was on a journey into the heart of darkness. He’s been on it, probably since he regenerated, but certainly since he found it within himself to turn his back on a scared little boy on a battlefield. Even the War Doctor did what he did because he wanted to end the carnage and conflict of the Time War. This Twelfth Doctor has discovered in himself something he never wanted to find – a forsaking of the principles that make him who he is. Throughout Series 9, he’s declared ‘There’s no such thing as the Doctor!’ or ‘The Doctor isn’t here, you’re stuck with me!’ – he’s been more unsure of his ability to live up to the standards he’s set himself throughout all his lives, because some part of him is looking to die. Some part of him doesn’t think he deserves still to be here, beyond the natural lifespan of most Time Lords. But while he’s had Clara Oswald, he’s had a source of sunlight, a source of balance to keep him trying to be the Doctor, to live up to her image of him, to be the best version of the Doctor this regeneration can be. But that’s made him go beyond the rules. Beyond the law. Beyond the point at which the universe will shrug at him and his meddling. 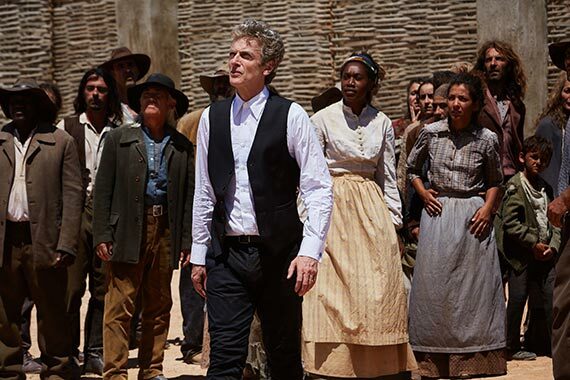 He’s been looking for cues and clues to help him be the Doctor – as far back as The Witch’s Familiar, he’s been meddling with history to make it kinder than it would have been. As far back as Before The Flood, he was willing to change history to save not his own life, but Clara’s, his avatar of light. In The Girl Who Died he misinterpreted the message of his face to give himself permission to meddle, to do something against the laws of time just to make himself feel better, and to hell with those who would judge him. When he loses her, he’s basically the oldest toddler in the universe, stamping his feet and demanding that life be better than this, that the universe owes him better than this. That’s where the drama was in this episode – not in falling cities and warring armies. Those would come if the Doctor fell – and he almost did. He went above, beyond, insane to try and undo a fixed point in time and space, a death that has to stand, to save not just his friend but the only person this version of him has ever known that has shown him how to be the Doctor. And there it was, on screen – the Doctor prepared to go too far. The Doctor who’d imperil time and space for his better angel, who’d lose the very essence of himself in trying to keep the friend who showed him what it looked like. The Doctor beyond everything that makes him the Doctor. There was no Valeyard, because ultimately no Valeyard was necessary – Capaldi’s Doctor is quite scary enough when he’s shouting, when the emotion surges out of him, raw and powerful. If he had been allowed to get away with it, Gallifrey would have fallen to his wrath. If the two of them, the Hybrid together had kept pushing each other, there would have been nowhere safe from their recklessness. And so, as predicted, it was left to Clara Oswald to save the Doctor one last time, by stepping back, reversing the polarity, playing Russian Roulette with their memories of each other, by being brave enough to say it had to stop somehow. She saved him one last time by letting him remember adventures with Clara, but nothing of the particularity of her. He will have to be his own Doctor from now on, not pin his way of living to the version of ‘the Doctor’ she inspired him to be. ‘Be a Doctor’ were the last words from her. The legacy of Clara Oswald will be the quest for the Twelfth Doctor to find out how to do that all over again. 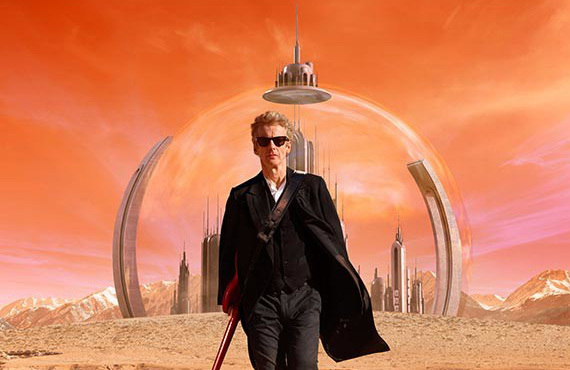 Was Hell Bent the ‘fall or rise of Gallifrey’ story we were expecting or hoping for? Undoubtedly not. But it was a great series finale, and a great end to Clara’s story, she and Ashildr going back to Gallifrey the long way round, the girl who can never die and the girl who’s not really alive. Gallifrey is back in the sky – there will be plenty of time for more Gallifrey-based stories, especially with Rassilon and a deposed High Council still out there. And this wasn’t really a story all about Clara – this was about the Twelfth Doctor going to the brink of a grief that would have driven him to tear the universe down, and what it was that saved him, and gave him back himself.